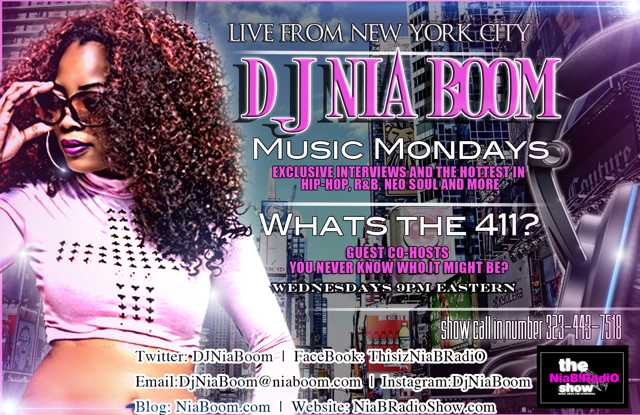 Coming at Ya live from New York City it’s ya girl DJ Nia Boom Host of the Syndicated NiaB!Radio Show aka NBR on a Mission to bring Real Talk, Real Hip-Hop and less BS. 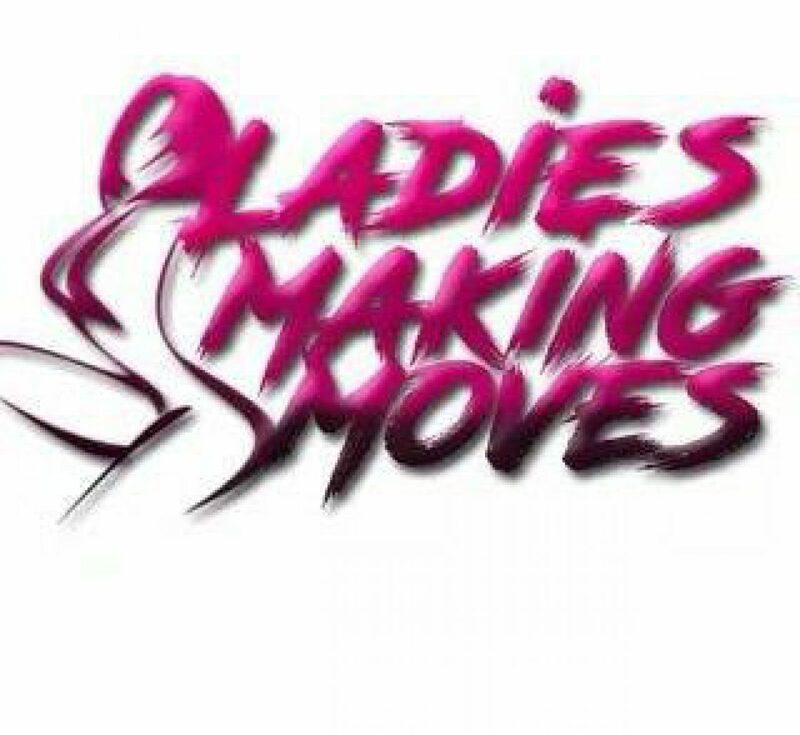 Her show provides a platform for up and coming as well as established Singers, Rappers, Actors, Models, Comedians, Entrepreneurs and more. Listen to Exclusive Interviews with award winning talent, the hottest in Hip-Hop and R&B Plus, Every Wednesday “What’s the 411?” Get all the latest in Entertainment News, Music Reviews, Best Apps &Websites, Events and more. Get ready to laugh, Get your groove on and be entertained! 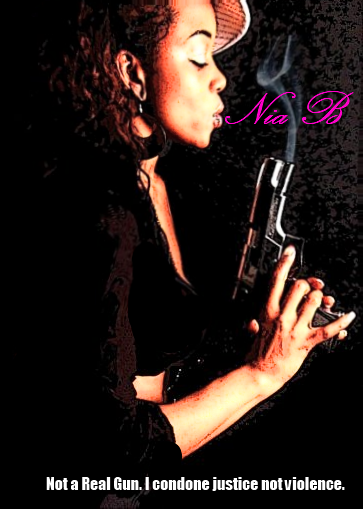 Nia Boom is not just a Radio Personality she is a C.E.O Producer,Recording Artist, Songwriter & Activist. A creative thinker and music connoisseur, she aims to educate and entertain. 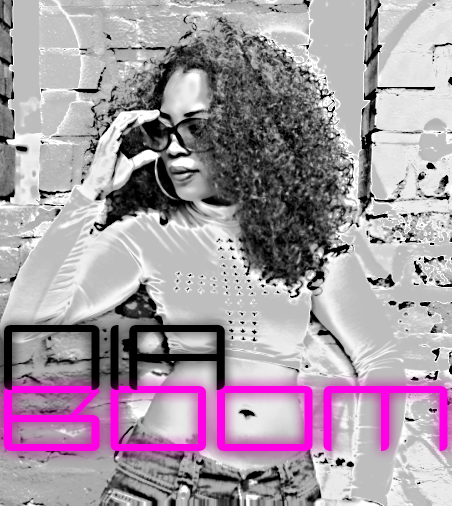 Born in LA and raised in Florida DJ Nia Boom currently calls New York City home and is planning a 5 Borough Tour in December 2013. 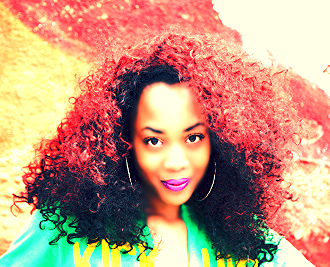 She has released several mixtapes of Underground Compilations which are available right now on HotNewHipHop.com. Her passion for the arts has led her to writing and recording her own songs and even working on an album set for release February 2014. She is relentless in her pursuit and ready to take the Media world by storm in more ways than one. Check out The NiaB!Radio show on College Underground, Nuvibe Radio, Blogtalkradio and more! Immersed in the Hip-Hop culture all her life she sees it as a way to address social issues as well as personal ones. Nia B is determined to take Hip-Hop to the next level addressing problems affecting our communities while providing a platform for talented individuals leading the future of urban art. Tune In Live Monday and Wednesdays at 9pm Est. 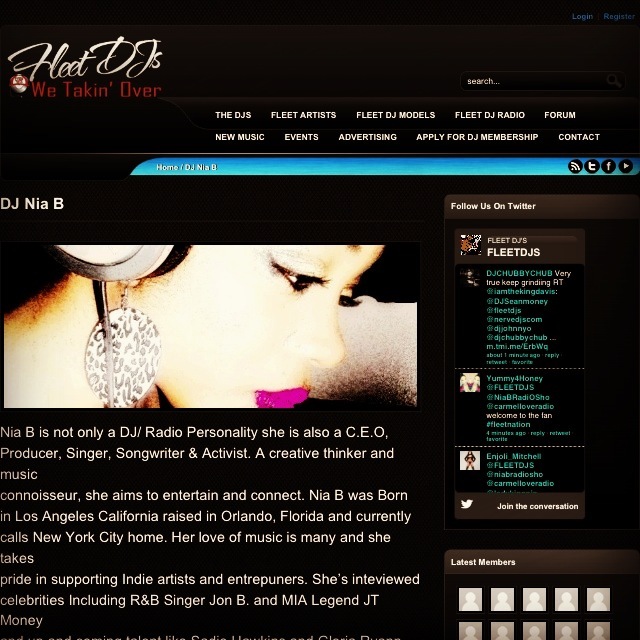 DJ Nia B. is available for Interviews, Event Hosting, Demos, Mixtapes and more. Shout out to Nia B, my favorite DJ out there doing her thang!! !